McCartney: "I'd have caught him once"
John Lennon wasn't gay - so says Sir Paul McCartney and Yoko Ono, both of whom are flaming mad over claims made in a new book. In John Lennon: The Life, respected Beatles biographer Philip Norman (author of Shout! 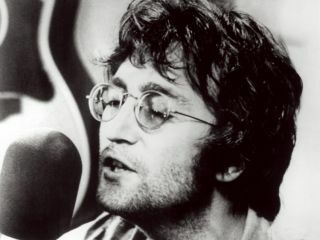 ), claims that Lennon fantasized about sleeping with his own mother and desired a gay relationship with Paul McCartney. "I don't think [the gay claims] are true," says McCartney. "John never ever tried anything, I slept with him a million times. I've seen him on tour roaring drunk, out of his mind in the early days before he sobered up and went to rehab. Roaring drunk and it was always with a female." McCartney adds: "If you've got a little gay tendency and you're roaring drunk I'd have caught him once." Both McCartney and Ono initially approved the book, and even granted interviews. Not surprisingly, Ono has completely withdrawn her endorsement of the book, which is due out October 2008.